TEA BENEFIT Flavanoids in black tea helped reduce the production of LDL - the "bad" cholesterol that can lead to stroke and heart attacks. Can help reverse an abnormal functioning of the blood vessels that can contribute to stroke or heart attack. A cup of hot black tea will help you to warm up quickly and strengthen the immune system when you are cold, wet and shivering. 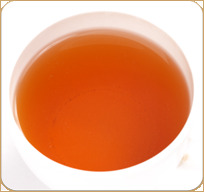 Black tea also improves mood, protects against stress, raises blood pressure and neutralizes free radicals. DESCRIPTION Singular appearance, finger twirled bud and leaf to harness the flavor completely. On steeping, watch the handcrafted pearls unfurl into a light golden brew with a heavenly aroma. A masterpiece from Darjeeling. Take one heaped teaspoon per 200 ml of freshly boiled water. Use a tea pot or a carafe. Pour water onto the tea. Cover and brew for at least 3 to 4 minutes. Adjust brewing time with strength and taste desired. Rinse pot after wards with hot water only. Do not use soap. Please do not add milk or sugar.